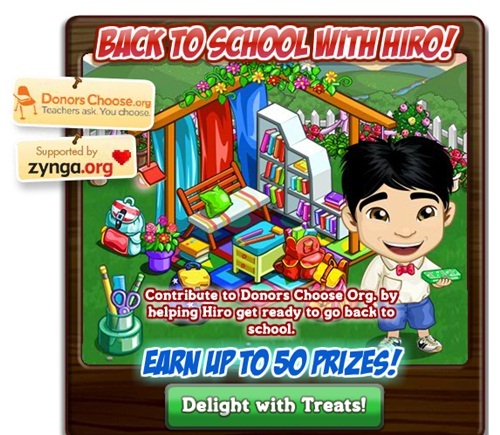 Win some cool rewards in FarmVille Back to School with Hiro feature. It is a new feature where it may remind you of the previous one like the Eagle Sam or Hungry Santa. But the Back to School with Hiro will have a new twist. There will be 2 items that maybe collected and it will have different equivalent or value. We have here some of the pre release image and information that may give you an idea on what to prepare once this feature started rolling out. 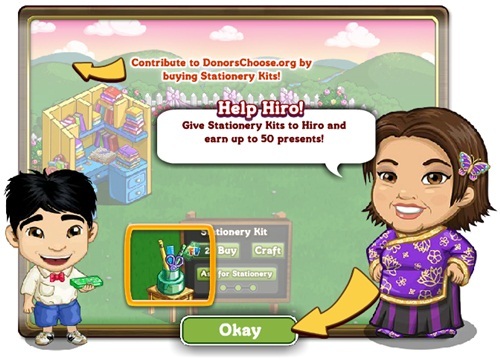 Meanwhile, the Stationery Pieces is the one that we can obtain from asking our friends or helping them by clicking on their feeds (limit of 5 per post). 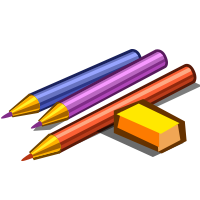 The difference between the two Stationery Items is, Stationery Kit (the crafted one) is equal to 3 points or presents while the Stationery Pieces is equal to 1 point or 1 present. A total of 50 presents can be collected and will be opened on Sept. 19, 2014.